So on we go with the Berneburg/Langer frustrations. Next up is Great-Grandpa Maximilian Langer, Grandma Sophie's father. My aunt's notes say that he was born in "Schliesen," or Silesia, which once was part of Prussia but now is in Poland, down by Czechoslovakia. Silesia is a province, however, not a town, so that information is missing. Looking at both German and Polish record sites (and puzzling out Polish is difficult, believe me! ), I find nothing. The nice elderly man from Bremerhaven who helped me a little gave me the information that Maximilian was born "about 1855," and died "before September 11, 1909," but I can't read the scanned documents he sent me, so I can't confirm that (and he's not responding to my emails). Now, September 11, 1909, I happen to know, is Grandma and Grandpa Berneburg's wedding date, so I'm guessing he looked at some kind of a wedding record and saw that Grandma's father was "deceased," so he must have died sometime before that. But I think it was also the elderly man who gave me the information that Max had died in Goettingen, fairly far from Bremerhaven, where his family lived, so this is a mystery too. I did something about this mystery -- I sent an email to a person whose name I'd been given at the Standesamt (City Registry) in Goettingen. She said she found nothing in the record about his death, but now that I look at her email again, she may have looked only in 1909, which is a very narrow window. Now that I look at the family history pages, I see his death year listed as 1896, so I may go back and inquire again for that year. It would still be a mystery of how he wound up in Goettingen, if that is the case. She also says he was born in 1843, rather than 1855, which the nice elderly man found in the Bremerhaven archives. One thing we can do, however, is learn a little bit about his life as a chimney sweep. I found a very interesting article you might want to look at: "The Poor Life of an Apprentice Chimney Sweep." 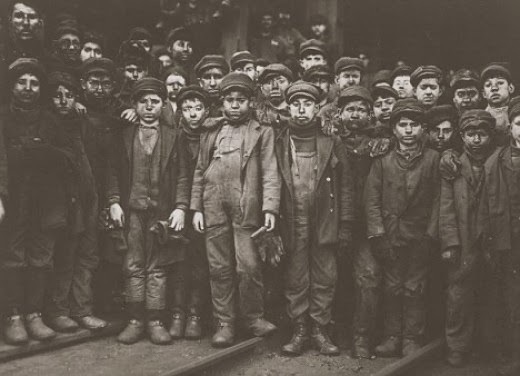 Many people were apprenticed to the trade as children -- I wonder if that was the case with Max? It makes me think of the song "It's a Hard Luck Life," from Annie. I guess that other than going to Germany (hey, that's an idea), the only thing to do is to write to each and every one of these archive offices, asking for death certificates, as I did with Joseph Ortmann. That might give me the information I need about birth dates, parents, and so on.